SEATTLE—April 28, 2011 - Getty Images, a leading creator and distributor of visual content and other media, today announced that it has acquired PicScout, a leader in identifying image use, metadata and licensing information on the web. This acquisition will build and grow upon Getty Images' existing range of products and services, enabling Getty Images to amplify its digital content licensing expertise and leverage PicScout's technology in developing new image identification tools for customers. Getty Images will invest in PicScout's technology and continue to work across the entire image industry, to improve and expand protection of Intellectual Property, thus ensuring a stronger overall content licensing industry. "As the access to digital imagery becomes even easier, the ability to safeguard and manage creators' content has become more critical than ever," said Jonathan Klein, co-founder and CEO of Getty Images. "This acquisition will enable us to bring a vital service to a greater number of imagery agencies and companies around the world and make it possible for them to successfully manage the licensing of the content they represent." Offir Gutelzon, co-founder and CEO of PicScout added, "With the vast expansion of digital devices and platforms, technology solutions are required to ensure every image gets its credit, which enables a connection to licensors wherever the images are used online. The acquisition will make it possible for PicScout to accelerate its position as a market innovator and as one of the world's largest indexes of owner-identified images. It will allow PicScout to continue its rapid support of content owners and content users, who seek an integrated solution for image identification and use." 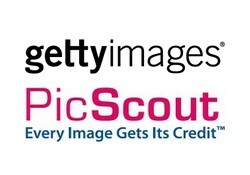 PicScout will continue to operate independently and remain its brand, working together with Getty Images' global distribution channels and platforms to increase international customers' access to PicScout's products and services. The acquisition was driven by the opportunity to grow and expand PicScout's business to the benefit of our contributors, image partners, customers and industry as a whole. Getty Images is one of the world's leading creators and distributors of still imagery, footage and multimedia products, as well as a recognized provider of other forms of premium digital content, including music. Getty Images serves business customers in more than 100 countries and is the first place creative and media professionals turn to discover purchase and manage images and other digital content. Its award-winning photographers and imagery help customers produce inspiring work which appears every day in the world's most influential newspapers, magazines, advertising campaigns, films, television programs, books and Web sites. Visit Getty Images at www.gettyimages.com to learn more about how the company is advancing the unique role of digital media in communications and business, and enabling creative ideas to come to life.